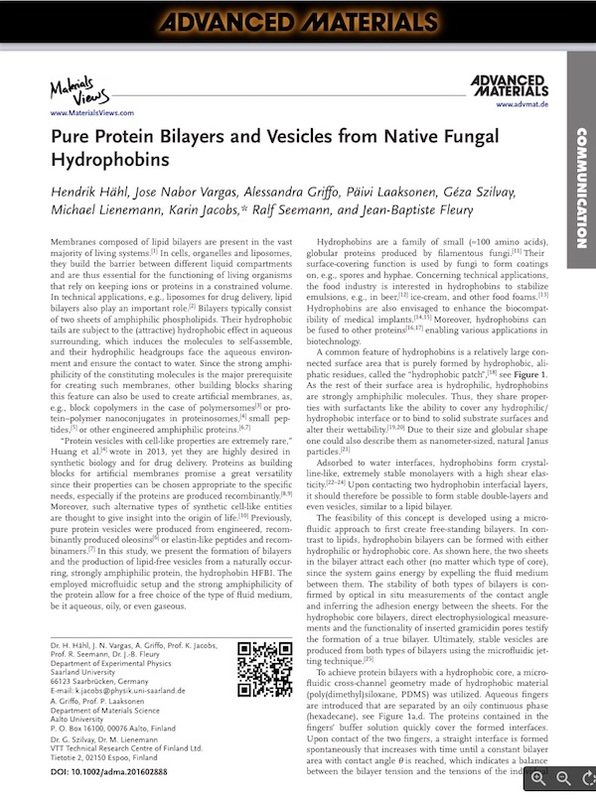 Pure protein bilayers and vesicles are formed using the native, fungal hydrophobin HFBI. Bilayers with hydrophobic (red) and hydrophilic (blue) core are produced and, depending on the type of core, vesicles in water, oily media, and even in air can be created using microfluidic jetting. Vesicles in water are even able to incorporate functional gramicidin A pores. Group Leader in University of Saarland, Saarbrucken, Germany.